MPN: 1863903. Makes removing and replacing mop heads easy and efficient. Sturdy fiberglass handle. Make sure this fits. by entering your model number. We will happily work with you to find a solution to any problem. 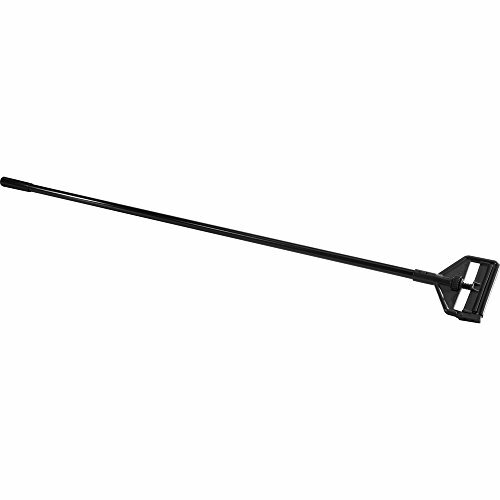 The Rubbermaid Commercial Executive Series Wet Mop Handle and Invader Side Gate Frame, 60", makes removing and replacing mop heads fast and simple with the Invader Side Gate thumbwheel design that clamps the mop head firmly in place. Constructed with a durable fiberglass frame, this mop handle provides a 60" reach for one-inch headband mops.